Almost half of carbon emissions come from buildings. They also consume half of the water, a third of landfill waste and a quarter of raw materials used in the UK economy. It is critical that the way buildings are being designed, developed and operated is reviewed so as to reduce the impact they have on the environment. Looking at the material properties and credentials, steel stands out as the overall sustainable material for construction. It has a high strength-weight ratio, which means that only a little of it is required to do so much. This gives architects more flexibility and freedom to create buildings that are appealing in aesthetics and durability. It is possible to develop a building that has low/zero carbon emissions and also that have BREEAM ratings that are high. Its main raw material is iron, which is naturally available through mining. It can also be recycled on endless counts and maintain its original properties. There are two production routes used in manufacturing steel, (BOS and EAF) and both of these routes comprise of sufficient content that is recycled. There has been great reduction of energy consumption and carbon emissions from steel making processes and efforts are underway to reduce it further than it currently stands. The by-products in steel manufacturing such as slags, sludge are also made god use of in the construction industry. It is much faster, cheaper, safer and efficient to have off-site fabrication of steel. The end products of the off-site fabrication are high quality products that have not flaws. It also saves time and money because the end products require less snagging on site. 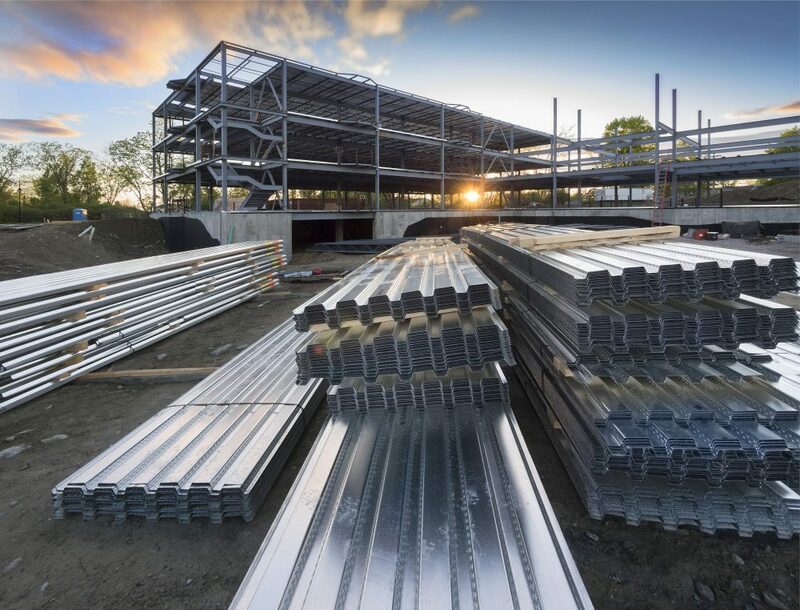 Steel has consistently been seen as the safest construction material. The components are assembled in a safe and controlled environment which is off-site. There is minimal requirement for adjustments to be done on site and thus the potentially risky activities of cutting and shuttering are reduced. It takes a short time to assemble the pre-fabricated structure once it is brought on site. This means less disruption for both the client and the neighbourhood. The cost is also reduced because the time taken to assemble is short. It is possible to recycle and reuse steel over and over again without compromising on quality. This element of steel makes it have a high economic value at any given stage of its usefulness. Dismantling steel structures is equally a task that can be achieved without much work put into it. It is actually possible to reuse steel so much that it never lands in a landfill or dumpsite. There is almost no debris to collect after dismantling a steel structure. At the same time, you can design the building in a totally different way easily, for instance, steel buildings that have large open-plan arrangements can be partitioned with lightweight materials and create a different design within the steel frame structure.